It does not feel uncomfortable like the other brands I have tried; it stays in place and does the job. With others, I am paranoic the whole time, checking myself in every reflective surface. However, I feel completely safe with this brand. I can go all day without even remembering the bleeding! I also love that there is a version with applicator; I know some women are fine without them and the environment... but I simply can't but them on without one! Haha So I love having the choice! Meh... It was cute, I guess. I was going to send this back to the library without starting it because I accidentally released an avalanche of suspended holds as I am wont to do. But I opted to try it and read it all in one go. It was hilarious and cute, and fairly inclusive. Finally an apocalypse I can get behind. I usually keep a couple in my purse at all times for myself or a friend in need. Very low risk of toxic shock syndrome. Also works great for stopping a bloody nose. A book based on/derived from Dhaliwal's web comic of the same name about a time in the future when men die out. Can women live without men?! Will they suddenly be different? Will they have better relationships? 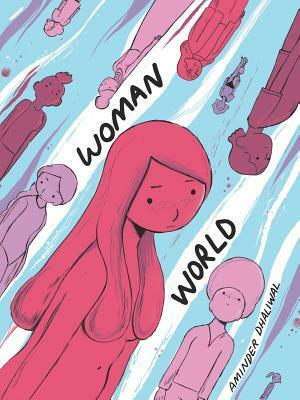 Of course we know that W/W relationships already exist, so we have some data on that (and in comics, from work such as Dykes to Watch Out For), but what if NO men were around? Will this make women suddenly different? What if women ruled the world? Dhaliwal's answers to these questions are A book based on/derived from Dhaliwal's web comic of the same name about a time in the future when men die out. Can women live without men?! Will they suddenly be different? Will they have better relationships? Of course we know that W/W relationships already exist, so we have some data on that (and in comics, from work such as Dykes to Watch Out For), but what if NO men were around? Will this make women suddenly different? What if women ruled the world? Dhaliwal's answers to these questions are lightly humorous, not (to me, at least) laugh-out-loud funny. The we-comic excerpts are loosely connected, with jokey punchlines to strips, but just okay jokes, usually. You know the (Alison) Bechdel test, which observes that when any film/tv/comics stories are told with women talking, that they almost always talk about men? Well, generations later, some of them still talk nostalgically of men! But mostly it is about relationships, and a variety of women in various shapes and colors and sizes. Not deep commentary, but includes a wistful, thoughtful epilogue. I (a guy, so consider the source?) thought 3 or so stars throughout, but liked the ending and hope to read more, so I rounded up.